Let’s work together to give nature a helping hand. Gaia Fertility is located in Southern Cyprus, offering a wide range of services when facing infertility. we offer a diverse egg / sperm donor & surrogate database within immediate availability & have all inclusive, guaranteed programs for you to choose upon. Our exceptional team of fertility specialists, embryologists & treatment coordinators are all highly trained & dedicated to your success. We deliver high success rates and compassion throughout every patient’s experience. Working from the bottom of our hearts! Karina is a senior counsellor, a certified Midwife and Clinical Supervisor. 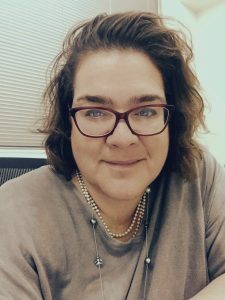 This unique combination of professional expertise has given her a deep understanding of issues involved with coping with infertility. With great sensitivity, awareness and knowledge, her goal is to walk beside you on your fertility journey. 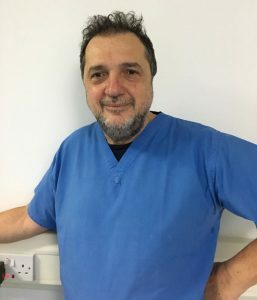 With over twenty years of experience leading and developing initiatives, Eyal has expanded Gaia Fertility into a vast network of experts and clinics,in Cyprus & beyond. Finding creative solutions to every challenge along the way, Eyal is dedicated to our clients every wish. 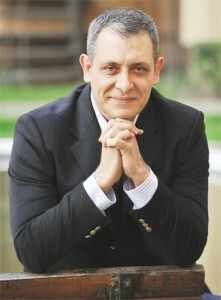 Owner of one of the largest clinics in North Cyprus, Dr.Tekin is a world known fertility specialist. With over 28,000 cycles, in more than 20 years of expertise, Dr. Tekin is always up to date with the most recent studies in fertility medicine. 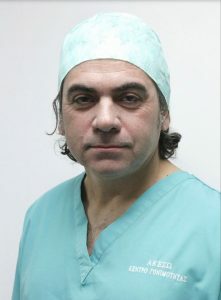 Dr. Sergiou is our leading Embryologist and Director for both clinics in Nicosia and Limassol. For Over 20 years now, our expert embryologist has created thousands of embryos to bring joy to families around the world. Dr. Lernis manages the Donor Programs and our patient’s medical care in terms of protocol & treatment. Due to his expertise, we’ve experienced a multitude of successful procedures performed, leading to desired outcomes for our patients. In strong belief in personal contact & care we assign a private coordinator to each client, enabling prompt availability to answer all your questions & basically, just be there for you. From the very beginning, you shall feel the support & holding throughout your journey. Fluent in English, Greek & German, Katerina will gladly help with all arrangement needed. Katerina will provide all the necessary information you need in order to understand the whole process of your journey. Originally Canadin, Stephanie brings a deep understanding of the gift of surrogacy, having experienced the role of intended parent herself. Stephanie can genuinely understand all issues involved & will accompany you with her wisdom of first hand experience. Svetlana is our multi lingual coordinator, helping patients in Chinese, Russian, as well as French. Svetlana will make best use of her knowledge to make our international clients comfortable, every step of the way. “I am writing this to thank our egg donor – you did an amazing thing! Interested to learn more about how we can help you today? Drop us a line.